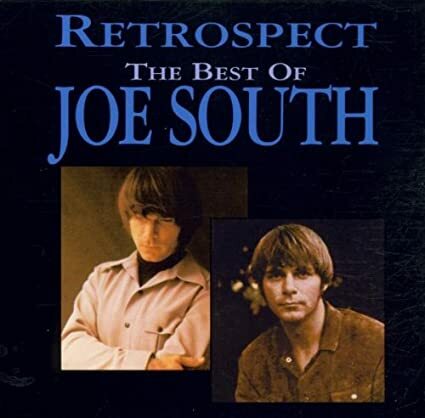 JOE SOUTH: RETROSPECT: THE BEST OF JOE SOUTH: 1999: 5 STARS OUT OF 5 STARS: CD: I’ve been listening to Joe South’s debut “Introspect” this week- so I thought I’d get out the best of cd I have and listen. Sixteen songs on this. This has his most famous songs in his too brief career-his most famous song being ‘Games People Play”- the 23 second intro to the song with the electric sitar makes the song. Favorite Joe South songs- Games People Play, Walk A Mile In My Shoes, All My Hard Times, Mirror Of Your Mind, These Are Not My People, Birds of A Feather, Children, Down In The Boondocks, Don’t It Make You Want To Go Home, Rose Garden and I Knew You When- pretty much the entire album. 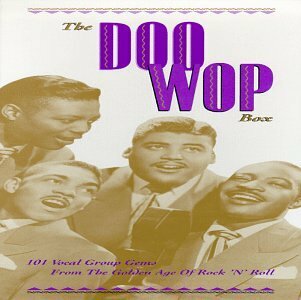 THE DOO WOP BOX: 101 VOCAL GROUP GEMS FROM THE GOLDEN AGE OF ROCK ‘N’ ROLL: THE BIRTH OF DOO WOP 1948-1955: 1993: DISC 1: 5 STARS OUT OF 5 STARS: CD: I have the three doo wop box sets that came out a couple decades ago on the Rhino record label- each has three discs. The first two box sets are the best. They go in chronological order. I thought it was time to give them a listen again so I started with the first box and the first disc in that box. I am not an expert on doo wop in these box sets I don’t know if they nailed them all- if anything essential is missing etc. On this first disc- favorites include- “It’s Too Soon To Know”-The Orioles, “Count Every Star”-The Ravens, “The Glory of Love”-The Five Keys, “Gee”-The Crows, “Crying In The Chapel”-The Orioles, “Sh-Boom”- The Chords, “Earth Angel”- The Penguins, “The Great Pretender” and “Only You’ by The Platters, “Sincerely” The Moonglows. Most of the doo wop groups Paul Simon covered in this song “Rene and Georgette Magritte and Their Dog After The War”- are no this disc 1- The Penguins, The Moonglows, The Orioles, just no Five Satins on this disc. 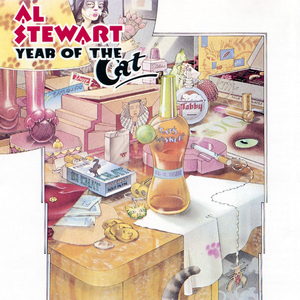 AL STEWART: THE YEAR OF THE CAT: 1976: 4 1/2 STARS OUT OF 5 STARS: VINYL: I picked this up yesterday used. I own Time Passages and a double disc best of- but never owned Stewart’s most famous- and breakthrough album. The single of the same name went to #8. The song was about the British comedian Tony Hancock- and was originally called “Foot of The Stage” but when Stewart realized that Hancock wasn’t known in America he changed it back to the original title “Year of the Cat.” I always liked how Stewart has written songs about historical characters- the opening track Lord Grenville is about the sailor and explorer Lord Richard Grenville. On The Border was the second single and just fell short of making the Top 40 in the US. O’JAYS: BACK STABBERS: 1972: 4 1/2 STARS OUT OF 5 STARS: VINYL: The O’Jay’s ‘Back Stabbers” album went top 10 and contained their two biggest hit singles- the fabulous “Back Stabbers” and “Love Train” which went to #3 and #1. This was the O’Jay’s breakout album. The Philadelphia soul sound was ruling the airwaves in the early to mid-70’s with producers Gamble and Huff and this album would be Philly Soul at it’s best. THE PRETENDERS: THE PRETENDERS: 1980: 5 STARS OUT OF 5 STARS: VINYL: I wrote something a week or so ago that I will take back. 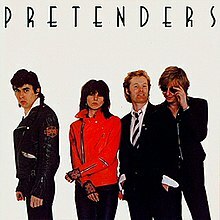 I called The Pretenders “Learning To Crawl” album their best- I will now say it is my favorite. I hadn’t listened to their debut album in some time and after giving it a spin I have to say it is overall their strongest album. It is a rock and roll album from start to finish. Favorite tracks almost too numerous to mention- Precious, Tattooed Love Boys, the cover of The Kinks- Stop Your Sobbing, Kid, the hit single “Brass In Pocket and the closer Mystery Achievement. I like the Pretenders, including their debut. Al Stewart is a name I haven’t heard in a long time! Somewhere, I have a live double LP I really dug at the time I got it – must have been around 1980 or so. “Year Of The Cat”, “Time Passages” and “On The Boarder” are tunes that come to mind – nice 70s style easy listening. Based on a quick glance in Wikipedia, it seems he’s still active. Al Stewart was playing two nights up in Kent, Ohio last weekend I think it was. I haven’t heard a new song by him in decades. Per Wikipedia, his 16th and most recent studio album, “Sparks Of Ancient Light,” came out in Sep 2008. There’s also a 2009 live album. BTW, “my” double live LP is “Live/Indian Summer” from 1981. I think I got it as a Christmas present that year! I read where Al Stewart had met Yoko before John did– if Al had only been a bigger star maybe Yoko would have latched on to him instead. I have read where the first one Yoko was after was Mr. McCartney but that wasn’t happening. I just can’t picture Paul and Yoko..